International Women’s Day and Sky introduce a ‘token’ women as part of the preview of the Wigan v Huddersfield game. The game starts and it is the usual coverage of ‘boys round a pint’ banter, no female voice at all. On the pitch, no female officials. The NRL are light years in front. For a ‘brand’ that spouts off about its inclusivity at any photo-opportunity, welcome to the 21st Century, GENTLEMEN. Editor’s comment: Sky Sports have employed Angela Powers as presenter and touchline reporter for many years, though sadly her air time has been marginalised in recent years due to them scrapping their magazine shows, such as Boots n All. 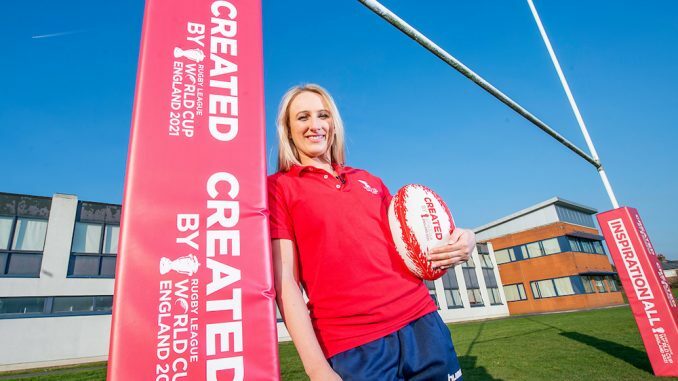 Those who enjoyed the Challenge Cup game between Thatto Heath and Rochdale Mayfield on BBC Sport recently will have noted England international Jodie Cunningham providing valuable insight and contributions on the commentary alongside the excellent Dave Woods.